I used to have a lot of blogs. Now I have one. I’m going to be running Ehdrigohr as one of my Games on Demand games at this year’s Big Bad Con. Ehdrigohr is primarily a fantasy horror and adventure game, but within it are some interesting social nuggets that I wanted to explore a bit without making the game “about” them. Though it was originally created using the Fate system, I wanted to run my game with the newer Fate Core rules so a few adjustments and modifications to the game system, and particularly character creation, became necessary. One nugget of interest to me was the way Ehdrigohr treated the concept of gender. Though somewhat muddled and buried in an obscure section of the rule-book, the gender concepts of Ehdrigohr cultures, which don’t map directly to the gender concepts of the real world, got me thinking a bit. On the one hand, Ehdrigohr isn’t a game about gender exploration, it’s really a game about fighting horrible monsters and being heroic. 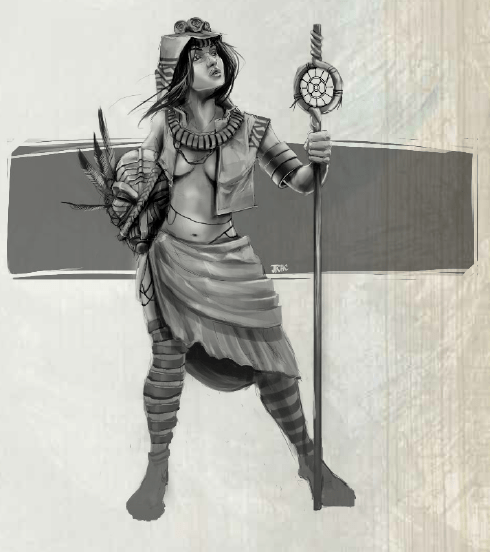 On the other hand, the unique cultures of Ehdrigohr (which the author based on Native American myth and culture) are something that I felt really SHOULD be incorporated into my game in order to give it the proper feel, and done right the gender rules from the original might give players some of that feel for their characters. Moreover, Big Bad Con has a well-earned reputation as a safe space for supporting games that can deal with personal issues. This article is about my current thoughts on incorporating gender ideas into my Ehdrigohr game. Feedback is welcome, particularly from the non cis, non-hetero community. For this issue in particular, I am outside my areas of expertise, and perhaps even outside my comfort zone a little – which is good because it pushes me to learn, but potentially bad because getting it wrong can result in hurt. One of the big, driving factors that all cultures on Ehdrigohr share is the protection and nurturing of children. 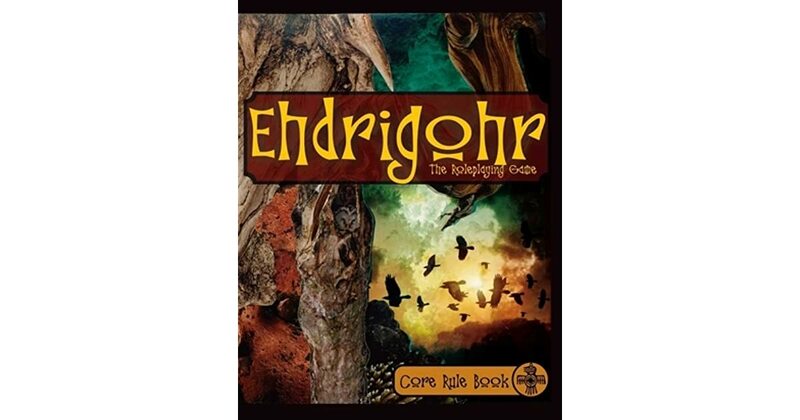 Ehdrigohr is a hard world – its got lots of monsters, unforgiving climate, and continual friction between tribes that often breaks into conflict. Infants and children are weak and vulnerable, and without extreme measures their mortality rate would be higher than the population could maintain. The bearing, nurturing, and protection of children is therefor considered one of the most important things that a person can do. If it takes a village to raise a child here, on Ehdrigohr it takes a whole society. At the same time, Ehdrigohr societies have mostly avoided becoming patriarchal. Women are not relegated to a secondary status as baby factories and men are not let off the hook for child care (Ehdrigohr doesn’t cover this in detail, but I imagine that abandoning your children, or children in your care, is one of the worst crimes one can commit). BACKGROUND – Gender Issues in Fate Core Ehdrigohr. Though the gender identities in original Ehdrigohr were interesting, I was uncomfortable about a couple of things. First was their nebulous definitions – is a trans person considered to be their physiological gender or their identity gender, for example; and as a group, who are Gatherers? Also, why set it up so gender matters to some characters and not to others? There were also issues related to the mechanics of the gender stunts that made them problematic for one-shot convention play. All of the stunts in the original Ehdrigohr were time sensitive – they only worked at specific times (summer and during the new moon, for example). While the idea of a single adventure spanning a year certainly got the wheels turning in my head, it concerned me that the original descriptions might leave some of the gender powers unusable, while others might be highly useful based on when an adventure was set. In the end rather than trying to beat the gender rules from original Ehdrigohr into shape to fit the Fate Core system and my vision, I decided that it would be best to simply take the idea of alternate gender identities from the original Ehdrigohr and use it as a springboard for my version of Fate Core Ehdrigohr. I wanted a system that was inclusive (covered everyone), positive (you get good things for whatever gender you choose and the only down side is not getting the good things from other genders), and simple (using Fate Core rules, without having to come up with complicated new mechanics). I started off with the importance of children on Ehdrigohr. Child bearing and child rearing have been one of the defining factors of gender for most of history, so it seemed like a good place to start, and moreover Ehdrigohr is a place that places extreme importance on children. But I DIDN’T want gender to be based on traditional physiology-based roles as in real life where people with uteri are often forced by circumstance and societal mores to be baby factories and people with penises are often granted wide latitude and dispensation for not taking responsibility for the children they produce. I also wanted a system that wasn’t perfect, that had problems, not because I wanted to include a lot of gender issues in my game, but because I didn’t want to paper over the gender issues that cause so many in our own society to be treated disrespectfully with some Utopian ideal. Based on these criteria, I came up with the following for Fate Core Ehdrigohr. Bearers – these are people who wish to conceive, bear, and raise children. This isn’t a job, so much as a social responsibility they take on. 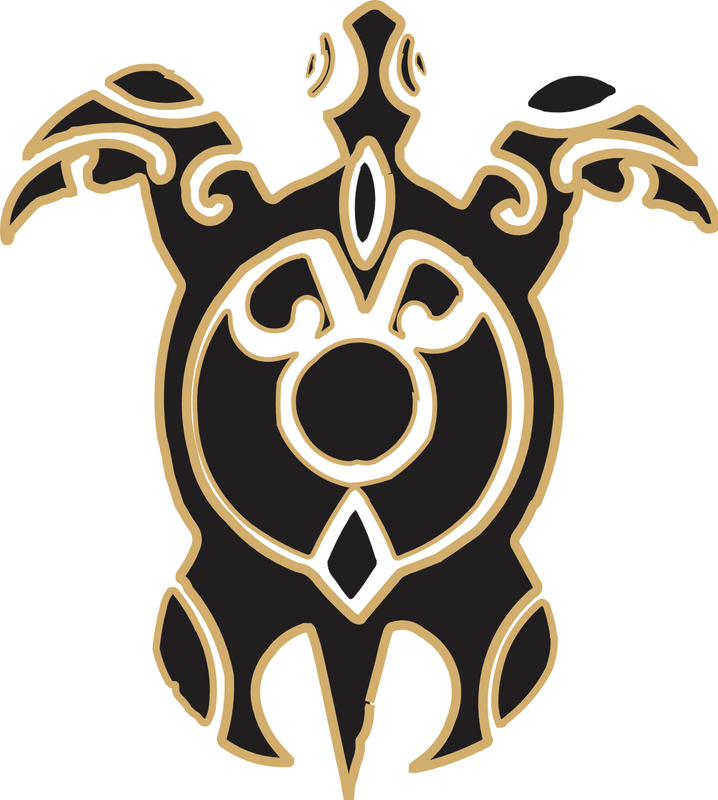 This is the largest gender in Ehdrigohr society. Gatherers – orphans are very common in Ehdrigohr society. The dangers of the land, coupled with social pressure to defend the children at all costs too often results in parents perishing while their children survive. Gatherers are those who are for whatever reason not willing or able to bear children, but are willing to adopt the children of others and/or assist Bearers in the raising of their children. They are teachers, childcare workers, adoptive parents, etc. Hunters – these are people who for whatever reason, do not bear or directly care for or raise children. They support the community’s children indirectly by donating a portion of their labor (or money in the cultures that make use of it) to support the community’s children. In situations such as “the village needs to run but someone needs to stay behind to hold off the monsters”, they are also the ones who stay. In addition to their practical roles in society, each of the three genders also have ritual roles to play – particular parts they sing in communal songs, dances and stories that are theirs alone to tell, patterns which only they can weave into baskets, rituals and prayers that are theirs alone to enact, sacred spaces that are theirs alone to maintain. The system isn’t perfect and has issues that could be explored in longer-term games, but I think it is good enough for a one-off. As previously mentioned, I don’t envision my game as being primarily about gender issues. Consequently I want a simple and easy-to-use mechanic, one that is distinctive between the three genders, but doesn’t involve the players having to learn a lot of special rules about their characters. I also want it to be something that the players can select for themselves based on what they feel most comfortable with (or most interested in trying) so I don’t want it tied to specific character sheets. My plan at the moment is to treat a character’s gender as a selectable stunt Extra, which players select for their character at the beginning of the game. It is treated as an Extra so it doesn’t cost any Refresh to have. Bearers – because I am a Bearer, once per session I may activate my Mystery Aspect for free on an Overcome action, and gain one Fate Point. 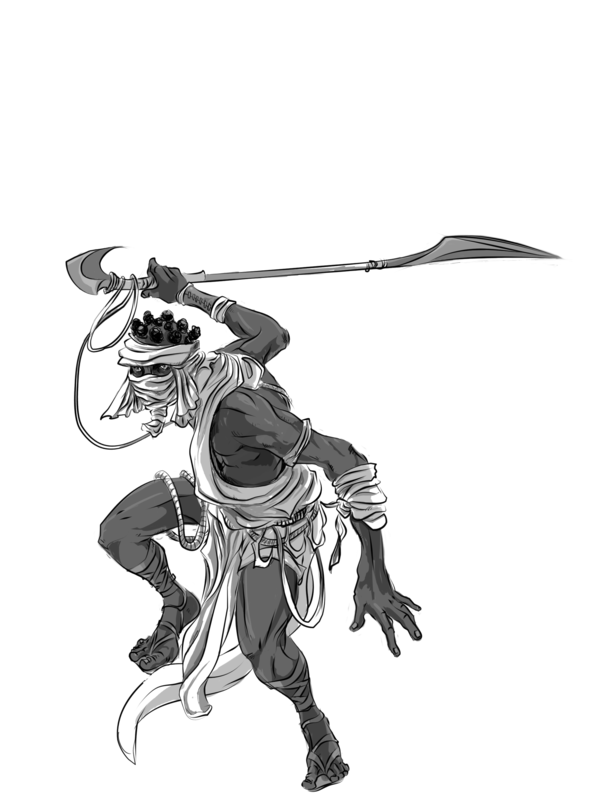 Gatherers – because I am a Gatherer, once per session I may activate my Mystery Aspect for free on a Create Advantage action, and gain one Fate Point. Hunters – because I am a Hunter once per session I may activate my Mystery Aspect for free on a Defend action, and gain one Fate Point. I like these particular stunts because 1) they are simple and easy to understand, 2) they are thematic (Bearers get that “I can lift a car off my baby” ability, Gatherers can inspire others through their actions, and Hunters become particularly good at hopeless last stands allowing others to escape). I added the ability to regain a Fate Point because it is unusual in Fate Core to get a Fate Point for being more effective – usually players earn Fate Points for being less effective – because I wanted another opportunity for players to earn Fate Points, because I wanted to give players interesting choices for their gender stunt (“Do I use my stunt now on a roll of minor consequence because I need the Fate Point, or do I save it for later?”) and because thematically it seemed appropriate for the universe to reward people for taking on their symbolic and ritual responsibilities. My current idea is to fill out a few 3’x5″ index cards for each gender role, giving the basics of their responsibilities in society and the stunt that they get for that gender role, and then just let players pick. Obviously these rules are just a bare skeleton of what could be done with gender roles in Ehdrigohr. There is a lot more societal flavor to be worked out (what are the rituals specific to each gender? What sort of identifying dress or marking do they wear? What are their songs? Are there differences between specific gender roles between the various cultures? How do stratified Edhrigohr cultures such as the Mic’talan, who practice slavery, resolve gender roles between stratum in their society? How easy is it to change gender roles? What happens to people who transgress their gender role?). There is certainly a lot that can be done with gender roles in terms of how the various genders interact with the Great Mysteries (are there any gender roles that have particularly close ties to a particular Great Mystery, for example. What spells and abilities from the Great Mysteries are proprietary to a given gender role?) But I think that these simple rules, as they stand, will be enough for a one-off game. Of course if the plot takes me in a direction requiring more development of the Ehdrigohr gender roles I can always put more depth into them.